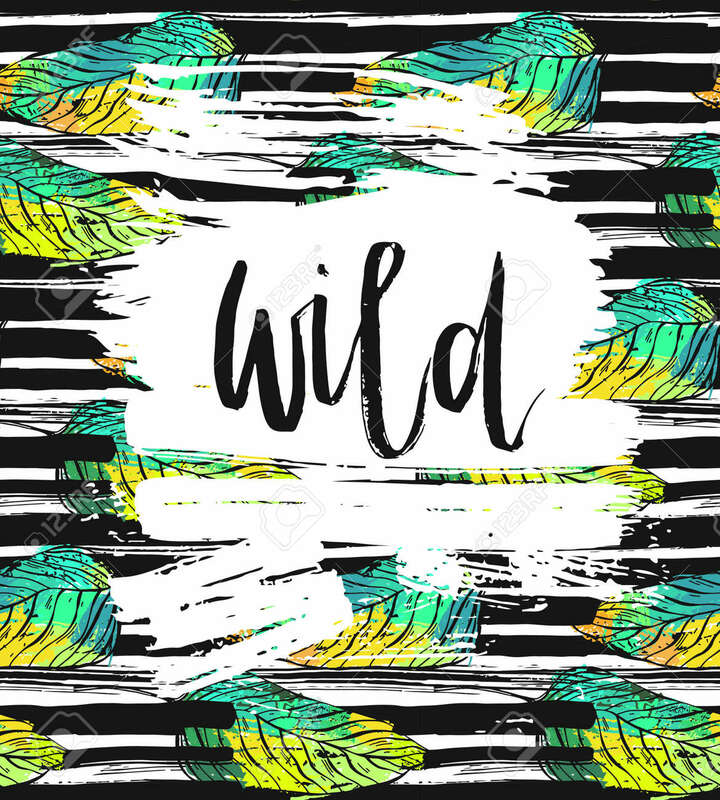 ﻿ Hand Drawn Vector Card Template With Ink Lettering Word Wild On Brush Stroke Textured Background And Tropical Green Palm Leafs. 로열티 무료 사진, 그림, 이미지 그리고 스톡포토그래피. Image 115871983. 스톡 콘텐츠 - Hand drawn vector card template with ink lettering word Wild on brush stroke textured background and tropical green palm leafs.